We care about you, your health, and what’s best for your family. As a Medicare-certified Home Health Agency, many of our healthcare services are covered by most health insurance plans. Our Occupational Therapists work with the home health patient to improve daily living independence and safety in the home. 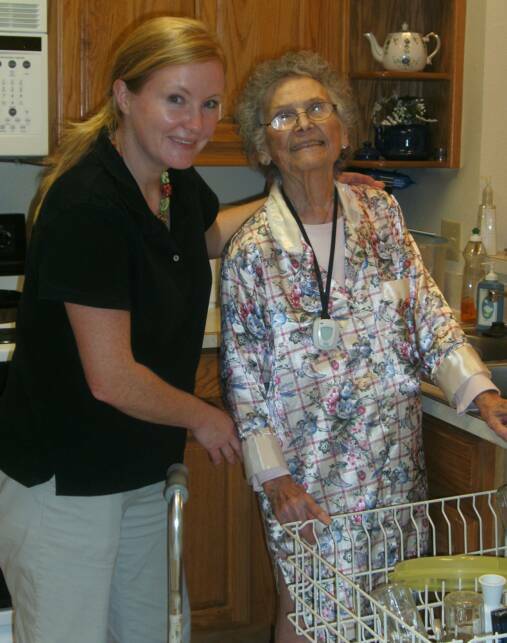 Initial focus may include dressing, toileting and bathing skills as well as training for the caregiver. Advanced OT may address independence and safety in meal preparation and household management. Our Physical Therapists work with patients to help them regain strength, range of motion, balance, coordination, motor skills and activity tolerance in order for them return to normal daily living in their home. Assistance with pain management is also provided when necessary. Speech Therapists help patients who are experiencing difficulty with speech, language and cognitive skills as well as swallowing difficulties and respiratory problems following an injury or stroke. The goal of social work services in home health care is to improve or maintain the social, emotional and physical health of the patient. Medical social services assist in resolving social or emotional problems that may impede effective treatment of the patient's medical condition or rate of recovery. These services enhance medical treatment and support the psychosocial functioning of patients and their families or caregivers. Social services also includes community resource planning and counseling. 24 hours a day, 7 days a week, our experienced team of professionals provide expert medical care including: physical, occupational, and speech therapy. Skilled nursing, wound care, medication management, nutrition support and personal care are additional services you may benefit from. Sometimes all a parent or loved one needs to remain independent at home is a little extra support. We have the resources to help with personal care and household management. Our staff of nurses, medical assistants, and therapists are all appropriately licensed and specially trained to serve patients in their homes. They also have the dedication and reliability needed to provide healthcare services with the high standard of quality and commitment you and your family deserve.